The internet has made it easier than ever to spread the word about your small business. With the click of a button, you can post information about your business or product for thousands of people to see. The only problem is, everyone has access to that power, which means that you are vying for attention among hundreds and thousands of other businesses. You can have the greatest business plan of all time, something that you are sure will make you millions, but if no one knows about it, it won’t succeed. How can you stand out from the crowd and reach your maximum possible audience? This article presents three tips on how to get people talking about you and your business. The best thing online marketing can do for you is generate itself. If people like your business or product and begin to talk about it, you don’t have to pay for it – the word will spread with or without you. This is a great way to gain customers because today’s consumer doesn’t want to feel like they are being marketed to. They trust their friends over corporations or advertisements and would rather find a new business through word of mouth than through a billboard or pop-up ad. The key to this type of marketing is engaging with your customers and giving them a great experience they will want to talk about. Make every customer a return customer and they will bring their friends with them. Running promotions through social media has two great benefits, depending on the type of promotion you are running. One way to promote is through contests. This will get customers sharing your page in hopes of winning the contest, and you will end up with a lot of followers waiting to hear more. Some businesses encourage customers to “tag” their friends on Facebook for a better chance at winning the contest – a wider audience reached immediately. Another way to promote is through coupons. This is a great thing to tack on at checkout. If a customer has just bought a product and you give them a coupon for a discount the next time they come back, they now have a big incentive to return to your business. 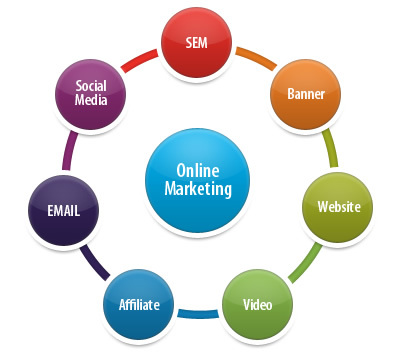 There are many companies and services online that can help you to optimize your marketing strategy. One popular strategy is SEO, search engine optimization, which will help your web page to climb higher in search engine results. Marketing companies understand how the Internet marketing game works better than anyone, and will be able to inform you about how social media fits into a marketing campaign, which platforms are most important, and more. If your business is growing, it may be a good idea to reach out to a professional company – they have the experience and expertise to help you take your business to the next level.